Sometimes I work in the morning. I sketched this company of men. It was the first time I’d seen them together. 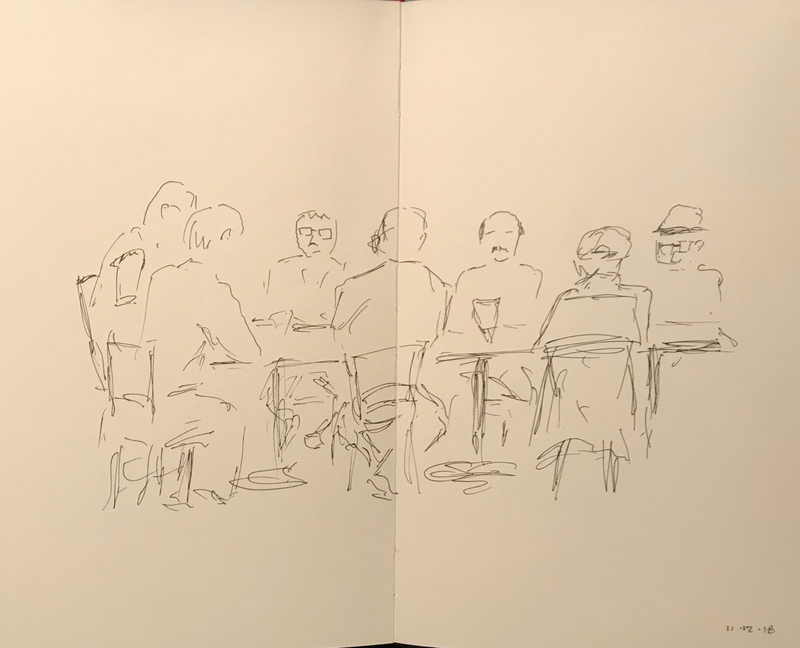 This entry was posted in Personal Stories and tagged art, artistic expression, creativity, drawing, group portrait, meeting place, pen and ink, portrait, sketch, visual art. Bookmark the permalink.